Have you ever had your mother serving you yoghurt before you leave home for some important work? Have you ever thought twice when a black cat crosses your path, thinking it brings bad luck? If yes, then you probably believe in superstitions. In layman terms, a superstition is a widely held but irrational belief in supernatural influences, especially leading to good or bad luck. Superstitions do not have a reasonable scientific explanation to them. They can be understood as the early man’s attempt to understand the nature around him. Superstitions continue to exist because they were passed on from generation to generation. 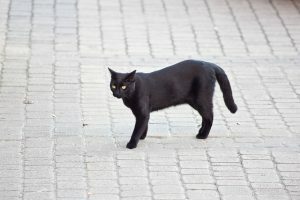 When you are out for something important, and a black cat crosses your path, it is considered as a bad omen. This is one of the most common superstitions in India. The origin of this superstition can be traced to Egypt. Ancient Egyptians believed black cats to be evil creatures and that they bring bad luck. In India, black color usually stands for Shani, and it is believed to being bad luck. Science and common sense on the other hand, believes that if an animal happens to cross your path, it signifies that the animal is going somewhere. Have you ever heard someone praising the beauty of a lizard? Me neither. That’s because the sight of a lizard is far from pleasing. 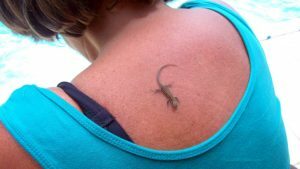 A lizard falling on humans is a totally different story. An entire branch of Indian astrology is dedicated to studying the falling of lizards, known as Gauli Shastra. The falling of the lizard on human foretells good or bad omens depending on which part of the body the lizard has come in contact with. According to this Shastra, if a lizard falls on the head, it is considered a bad omen. If one looks at it rationally, lizards happen to be poisonous creatures and release poisonous chemicals from their body to protect themselves from enemies. If a lizard comes in contact with a human body part, it is advised to wash that part immediately. 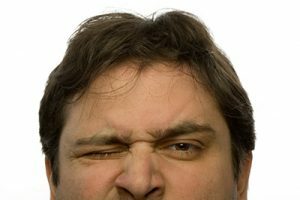 Twitching of the eye has different connotations in different cultures. In India, twitching of the left eye is considered to be a bad omen. The meaning of eye twitching also depends on the gender. Twitching of a woman’s left eye is considered to be a good omen, whereas for a man it is considered to be a bad omen. 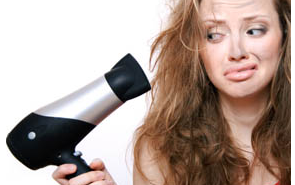 Scientifically, there are various reasons behind twitching of the eye- stress, allergies, strain, tiredness, or dry eyes. This is probably one of the most common phrases that you get to hear as an Indian- ‘Nazar lag gayi hai.’ Nazar or the evil eye is believed to be the cause of all illness in India. It is believed to be caused by a malevolent glare given to a person who is unaware. It is said to bring misfortune or injury. To ward off evil eye, children are adorned with kajal. The possible reason behind this could be the fact that it is basic human nature to play the blame game and blame others for their misfortune. 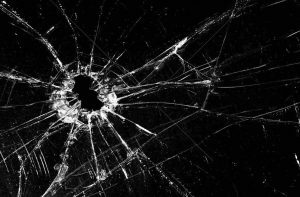 Broken glass is symbolic of bad luck. Looking at one’s reflection in a broken mirror is also considered inauspicious. We’ve all seen that clichéd Bollywood movie scene wherein a broken glass brings years of bad luck. It is said that broken glass can result in quarrels and hostile relations with friends and relatives. The possible logic behind this superstition could be that with a broken glass around, one is bound to cut and hurt themselves. You must have heard your elders advice you not to cut nails on Tuesday, or to consume non-vegetarian food on a Tuesday or to wash your hair on a Saturday. Phobia means a fear of something. It is said that you flout these rules and you will be subjected to ‘paap’ or punishment from God. In the West as well, Friday the 13th is considered unlucky. If one wants to look at it rationally, let me tell you that certain days of the week are just discriminated against! 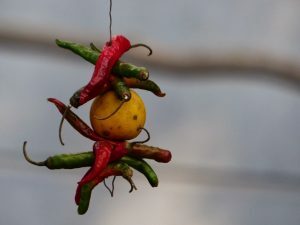 You must have observed a string of lemon and chilies sewn together and hanging outside shops, houses or even vehicles. People in India believe that one lemon and seven chilies sewn in together wards off evil eye and evil spirits. Whenever you spot lemon and chili lying on a road, it is advisable not to step on the totem; otherwise the evil spirits will stick to you. Though it’s difficult to establish a valid scientific reason behind this superstition, a possible reason that could be sited is that it helps you maintain a positive outlook for life in general as you believe that evil spirits would stay away. Have you ever had someone sneeze when you’re leaving home for something important and your parents telling you that it brings bad luck? This is just one superstition out of the various superstitions that are associated with sneezing. Early Greeks, Romans and Egyptians believed that one’s sneeze forecasts their future good or evil. 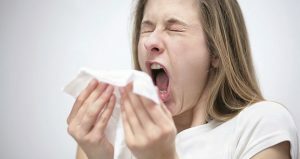 Scientifically speaking, sneezing is a reaction to dust, allergy or a result of cold or illness. It is a bodily function completely beyond one’s control. The out-of-control and sudden nature of a sneeze intrigued people from ancient times. 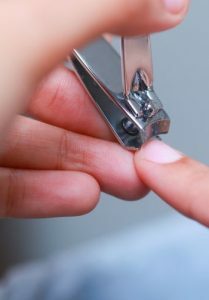 It is advice not to pass pointed objects like knives and scissors to someone with their sharp side pointing towards them because it might bring them bad luck and negativity. To hand them over to another person, you should keep it somewhere near them so that they pick it up from there. The possible logic behind this superstition could be that sharp objects like knives and scissors are capable of causing injury; hence they shouldn’t be handed over with their pointed side towards another person. 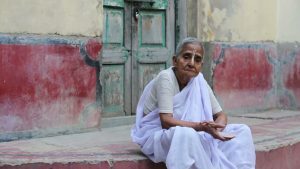 In various parts of the country, widows are considered inauspicious. They not only have to deal with the loss of their partner, but also the ridicule of the society they live in. They are considered unlucky and exempted from wearing any kinds of ornaments, jewelry or beautify themselves. They are not allowed to wear any color but white. They are forbidden to attend any social gatherings or festivals. Do we even need to mention a logical reason behind this weird superstition? This superstition is bizarre and only promotes misogyny. Women are human beings and shouldn’t be defined or treated as per their marital status. 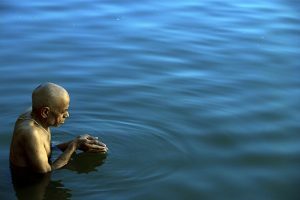 Hindus believe that taking a dip in the river Ganga will help them wash off the sins that they have committed. It is termed as the Holy dip. Pilgrims from various parts of the country throng the river for a holy dip to wash off their sins every year. How will bathing in a river provide you deliverance? Does this provide one a license to commit sins and then wash them off? What about the river water that gets polluted? A widespread belief in the country is that goddess Lakshmi visits your house during Diwali. Preparations for the festival begin days in advance and people clean every nook and cranny of their house to invite goddess Lakshmi. 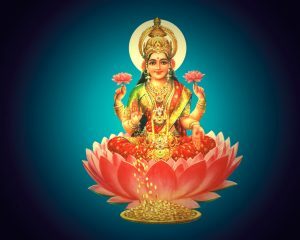 Goddess Lakshmi is the goddess of wealth and abundance. It’s funny and illogical of people to believe that Goddess Lakshmi would visit their homes. The only way to prosperity is hard work. Stories of ghosts and evil spirits haunting the Peepal tree are common. Hence, people are advised not to roam around Peepal trees at night to avoid being taken over by evil spirits. 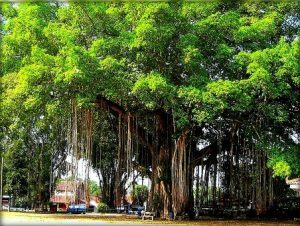 The truth is that Peepal tree releases a lot of carbon dioxide and other harmful gases during the night. Hence to discourage people from being around the tree at night, horror stories were woven around it. A lot of superstitions are associated with eclipses in India. 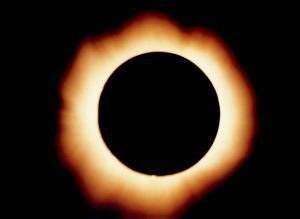 People believe that during and eclipse, the sun is swallowed by a demon, so one must avoid going out during an eclipse. A lot of people avoid cooking and eating during an eclipse. Pregnant women are especially advised to stay indoors during an eclipse. Harmful UV rays are radiated during an eclipse, which is why people are advised to stay indoors. People invented bizarre reasons for the same. One of the most common and prevalent superstition- menstruating women are considered impure and unclean. Women on their periods are not allowed to enter the temples or the kitchen. They are not allowed to touch the pickle for it would perish. Practitioners of patriarchy still uphold these beliefs. On the contrary, a logical explanation of this could be that during menstruation, women experience blood loss and fatigue. They must avoid strenuous activities and take proper rest. Superstitions were the early man’s experiments and attempts to understand the nature and the world around him. With so much knowledge available at one’s disposal now, one must attempt to think rationally rather than blindly following beliefs. Before you believe in anything, question, reason and educate yourself.